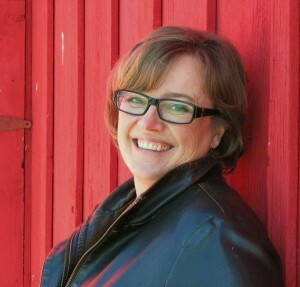 Today we ramble on a bit with author Linda Poitevin. 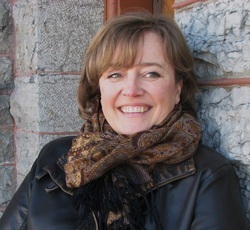 Linda Poitevin currently lives near Ottawa with her husband, three daughters, one very large husky/shepherd/Great Dane-cross dog, two cats, three rabbits, and a bearded dragon lizard. When she isn’t writing, she can usually be found in her garden or walking her dog along the river or through the woods. ANTHONY: Hi, Linda! Thanks for taking the time to answer a few questions. LINDA: Thank you for inviting me, Anthony! It’s a pleasure. 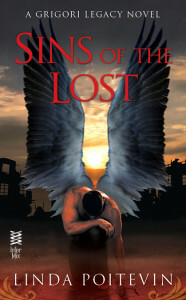 ANTHONY: Let’s start with the basic premise of SINS OF THE ANGELS. 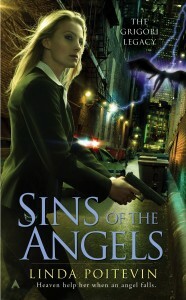 What made you decide to write an urban fantasy about angels rather than, say, wizards or zombies or vampires? LINDA: That wasn’t actually my decision, I’m afraid — at least, not a conscious one. Aramael just kind of turned up in my head, already an angel. ANTHONY: What kind of research did you do into the hierarchy of angels and the legend of the Grigori? What sources did you pull from to craft your version? LINDA: I did a tremendous amount of reading — there are huge numbers of angel books available, and fabulous sources on the Internet. I drew mainly from the Catholic descriptions of the hierarchy, but did a lot of literal interpretation of the descriptions to arrive at my own version. ANTHONY: Talk to me about your writing process. Are you more of a detailed outliner, or a “see where it goes as I go along” type of writer? LINDA: For the most part, I’m a “see where it goes” type. I like being surprised by my characters and twists that I didn’t see coming. I’ve found that writing a series has required a certain amount of planning ahead, however, so that I can be sure that something I write in book 1 or 2 won’t become a problem later on in the story arc. I also do a lot of mental scene-building (yes, I’m a daydreamer! ), so I tend to have a lot of a story “written” before it ever makes it onto actual paper. ANTHONY: Were there any moments in the writing of the book where a character’s actions took you by surprise? LINDA: Many, many moments, to be honest. The biggest surprise to me was Seth’s appearance in the book. When he knocked on Alex’s door in the first draft, he very nearly took over the entire story. That’s when I realized that this would be a series…I had to promise him his own story to get him to cooperate! 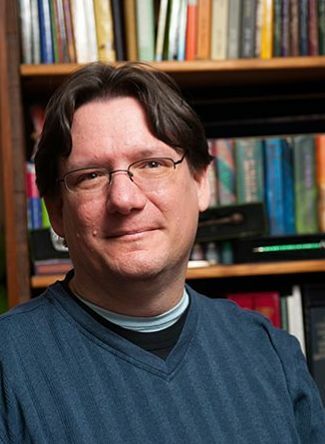 ANTHONY: How long did it take to go from initial concept to final publication? LINDA: Are you ready for this? Ten years. Of course, most of that was spent doing stuff other than writing, lol, but that is the actual time it took to write Sins of the Angels. ANTHONY: I’m not surprised. It gives me hope. My mystery novel AMBERGRIN HALL is going on year eleven right now… Tell us a little about Alexandra Jarvis and the joys or challenges of writing such a very strong, but emotionally conflicted, lead female character. LINDA: Alex was actually really easy to write. I’m a very strong-minded person myself, and most of my friends are as well, so it was almost like creating a character I would like to know as a real person. 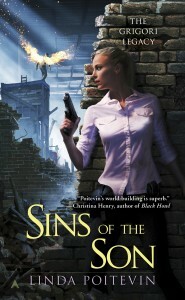 ANTHONY: SINS is obviously not meant to be a stand-alone book. Is this the first in a trilogy or the first in an on-going, open-ended series? LINDA: What, you didn’t think things were wrapped up at the end? You’re right, of course. This is the first in a series of four books. ANTHONY: There is a dense history not only to the character of Alexandra Jarvis but also to the world in which she exists. “Real” Toronto is as much a character in the book as the angelic world you’ve built around it. How hard was it to balance the two? ANTHONY: Have you had any feedback, positive or negative, about the representation of God as Female and Lucifer as her male counterpart? LINDA: Feedback on a female God has been very positive, with some readers saying that alone was enough to make them pick up the book. So far no one has commented negatively on the idea, and no one at all has commented on the Lucifer issue. These are early days, however. ANTHONY: It’s a trueism that names have power. I couldn’t help but notice how similar the names Caim and Aramael are to Cain and Abel. Was that on purpose, and if so, how? 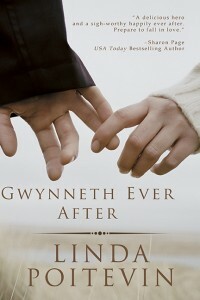 LINDA: It wasn’t a conscious thing, no…and it wasn’t until a beta reader asked me the same thing that I even realized I’d done it. Apparently my subconscious has a strong hand in my writing! ANTHONY: In some Judeo-Christian myths, Seth is the third son of Adam and Eve, and you have a Seth who comes into the story and has a mysterious destiny. Is there any deeper connection between Seth, Caim and Aramael? ANTHONY: How soon can we expect the next book to come out? And what else are you working on other than the Angels books? 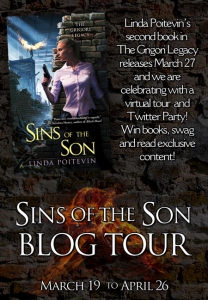 LINDA: Book 2 of the Grigori Legacy, Sins of the Son, will be released on March 27, 2012. I can foresee the series keeping me busy for the next year or so, after which I do have another series idea I’d like to pitch to my editor. No angels in that one! LINDA: I think my all-time favorite is The Count of Monte Cristo by Alexandre Dumas. For anyone who hasn’t read it, I consider it an absolute masterpiece of plot. The way Dumas pulls all the threads together at the end is nothing short of brilliant. It’s the kind of book you can read over and over again, and never grow tired with it. LINDA: You’re very welcome, Anthony! Your questions were great and I really enjoyed answering them! You can find more about Linda’s work on her website. You can also follow her on Twitter as @lindapoitevin and friend her on Facebook.